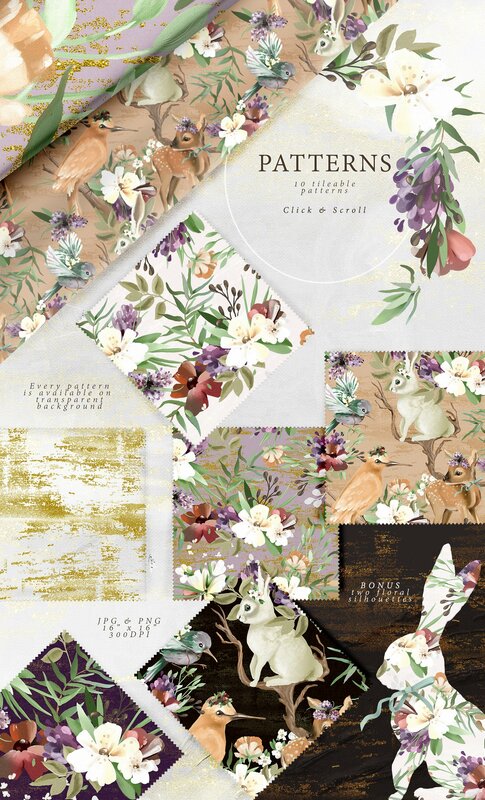 The set of beautiful, themed, hand painted oil clipart. With this collection you are able create professional looking designs just in minutes! 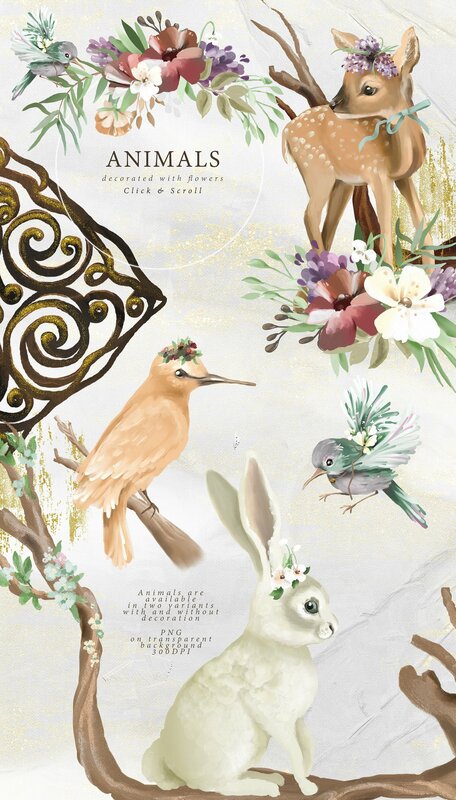 Fairies, enchanted animals and florals, glitters and digital papers with retained oil texture – mix & match them! Preaped with love tileable patterns are also included. Fairies are available in three variants – with and without wings, with and wihout animals. Pre-decorated animals are included. Create your own story!